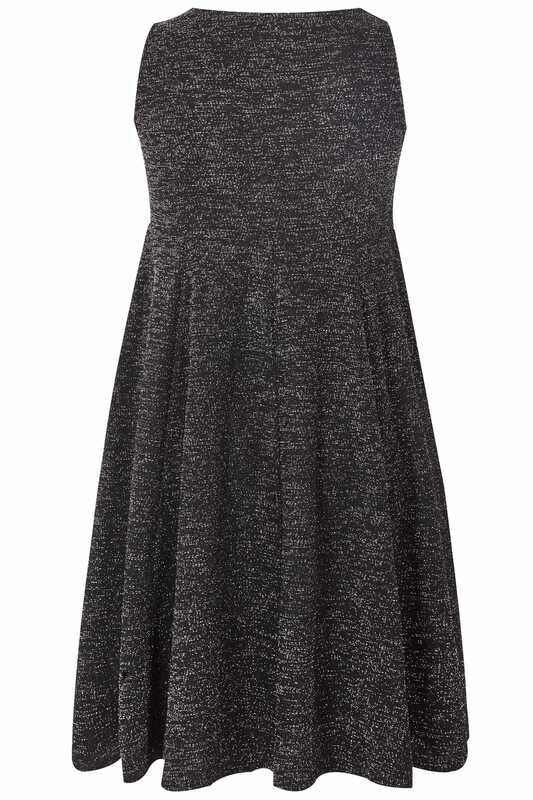 Sparkle and shine this season in this shimmer skater dress. 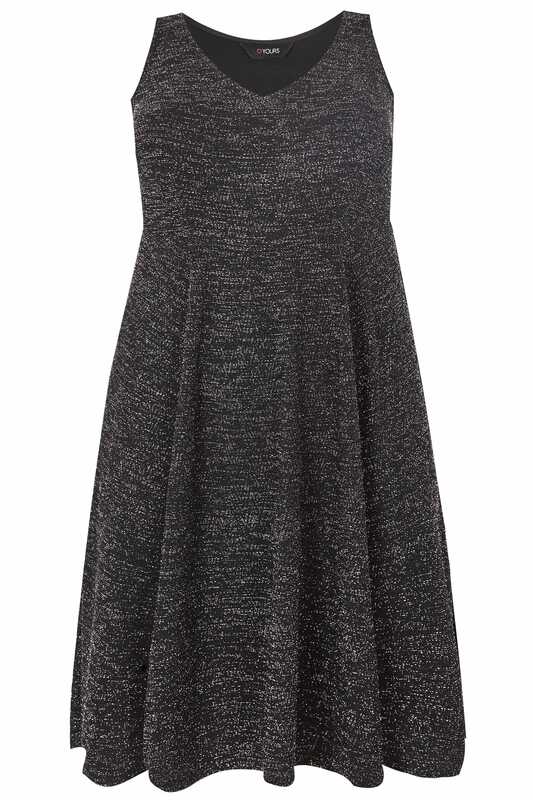 Made from a comfortable jersey stretch fabric, it features a v-neckline and sleeveless arms. Ideal for wearing to a party, style with black heeled sandals and a lightweight cover-up. Add a touch of glam to your evening look with this sparkly dress.